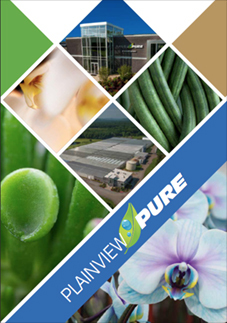 Your Plainview Pure succulents enjoy lots of warmth, sun and are eco-friendly low water plants! Succulents are eco-friendly easy-care and low water plants. Most can tolerate drought or no watering for weeks! We divide our succulents into three groups; Pearls, Rocks and Woods. The Pearls collection consists mainly of Echeveria plants which originate from Mexico. They can tolerate bright sun and very low water. Pearls make a perfect indoor / outdoor plant, depending on the environment you live in. Great for sunny places in the home! The Rocks Collection is the strongest of all succulents. They originate from rugged, rigid mountainous part of South Africa with little to no water and dry conditions. Aloe, Gasteria and Haworthia succulents are long lasting and would do well in low sun to dark spots in your home! The Woods Collection are compact and sturdy that originate from the dry, hot plains of the Karoo desert in South Africa. The Crassula succulents found in the collection have been known to grow into trees after years of care! 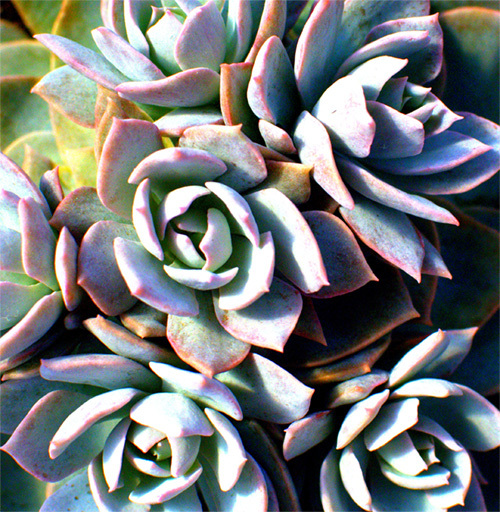 Succulents do love the sun but intense direct sunlight during summer seasons can cause fading. If this occurs, move the succulent to a room with less light. Spring to Fall months , water succulent every 3 weeks or so. Add diluted fertilizer about ¼ strength and let the water drain fully out of the growers pot (orange pot) in the ceramic. Fall to Spring months, water succulent every 6 weeks or so. Do not fertilize your plant. Succulents will look great in every room of your home!